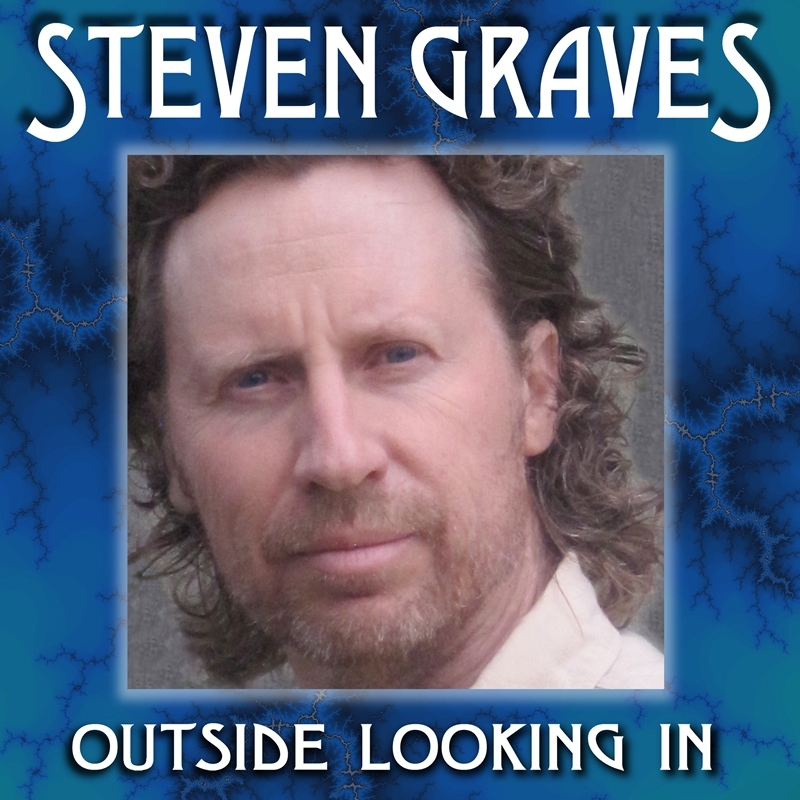 Steven Graves, "Outside Looking In" & "First Winter Snow"
Greetings A Celebration of Women Friends! It has been awhile since I’ve checked in. Just released my second CD, entitled, “Outside Looking In”! Also a music video with a song from the release, “First Winter Snow“. The CD is already #29 on on the jambands.com music chart and #254 on Americana Music Chart internet after the first three weeks! In 2009, after 24 years as a land use consultant first and a musician second, Steven Graves put guitarist, singer and songwriter at the top of his current resume. His debut CD, “Make a New World” was released in June of 2010 and spent five weeks on the Americana Music Chart, peaking at #241. With the help of Powderfinger Promotions the record was added to rotation at 70 radio stations in the US. “Make A New World” was heard worldwide on JANGO Radio garnering over 1200 fans in 40 + countries in its first three months on the station. Canadian-American Records, with CEO Joey Welz, signed on Steven to promote his CD to foreign record companies at the MIDEM conference in France, and also released his hit “Come on Down” on their label. He is currently in the studio working on an EP and his second CD and preparing his band for its upcoming tour. 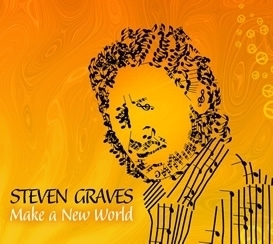 Steven Graves’ debut CD is titled “Make A New World”,and he means it. Upbeat rhythms, beautiful harmonies and catchy hooks make for an engaging musical experience as Steven lyrically paints a picture of a new world, a world where war no longer exists, where all people feel connected to one another, and live together as one world, one love. The songs in “Make A New World” reach out to us, to find the courage within to love, to see past the illusions of modern society, to find meaning in our lives, to rejoice, sing, and dance. Steven’s unique sound reflects his roots as a Californian, seamlessly blending elements of rock, reggae, country, jazz and blues with his sincere calls for a more peaceful world. Part of a renewed movement of socially minded recording artists, Steven’s highly polished grooves, combined with messages of hope and possibility, allow “Make a New World” to connect with a diverse audience. The influences of Dylan, Lennon, Marley, Ben Harper and others who have infused their music with social and political meaning echo throughout “Make A New World”. Steven says, “I wanted to make the album fun with danceable rhythms and inspiring lyrics that speak to people at a deep level. I feel compelled to write songs about core beliefs that define who I am. What does it mean to be a human being in these times? How do we find peace on both a personal and global level? Love for oneself, one’s family, one’s community and the world at large. Can we create a world without war? Can we live in the present and take life on even when there is fear? ” Steven delivers these central themes of the debut release with humility and grace. Building his career on environment stewardship, Steven and his wife Paddy also built the first LEED (Leadership in Environmental and Energy Design) certified development in the State of California and share a passion for green building. They have studied yoga, eastern philosophies, and try to live a healthy organic lifestyle. “My goal in this lifetime, is to awaken, to become a fully conscious being, and in that radiate love, joy and light the way for others” he says. Steven currently lives in Capitola, California with his wife Paddy Easton Graves, and his 4 year old daughter Harper. Filed Under: INSPIRATIONAL VIDEO, MEN "Positive Action", Videos Tagged With: "Outside Looking In", A Celebration of Women, A Celebration of Women Foundation Inc., Architects of the New Dawn, CD, music, music video, new release, Steven Graves, Steven Graves CD, Vide "First Winter Snow"